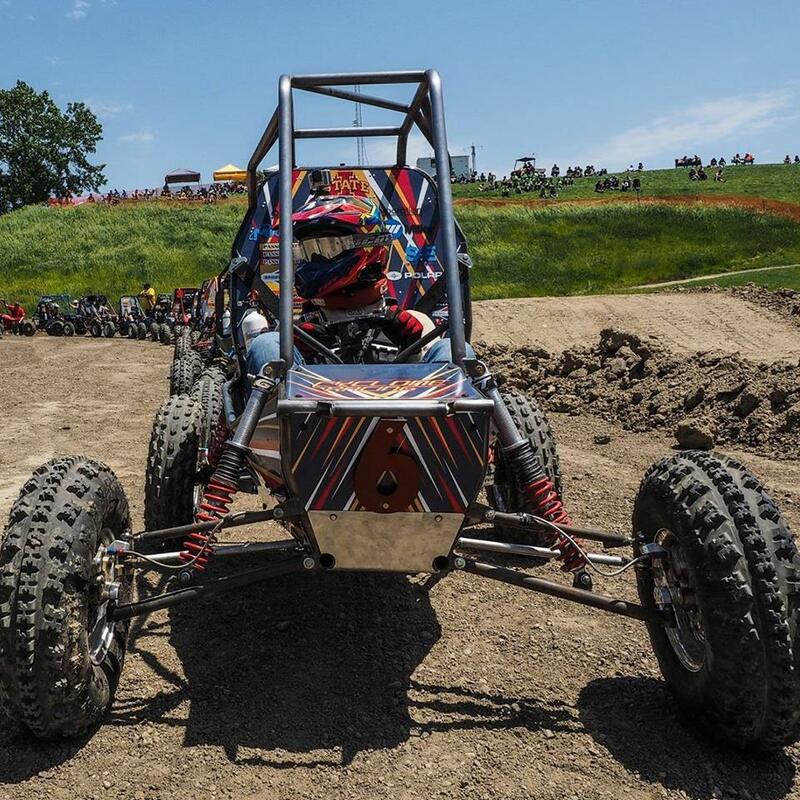 After experiencing trailer issues on the way to their 2018 summer competition in Oregon, the Baja team had to leave their trailer and vehicle in South Dakota. The team members still made the trip to Oregon to attend and help out at the event. 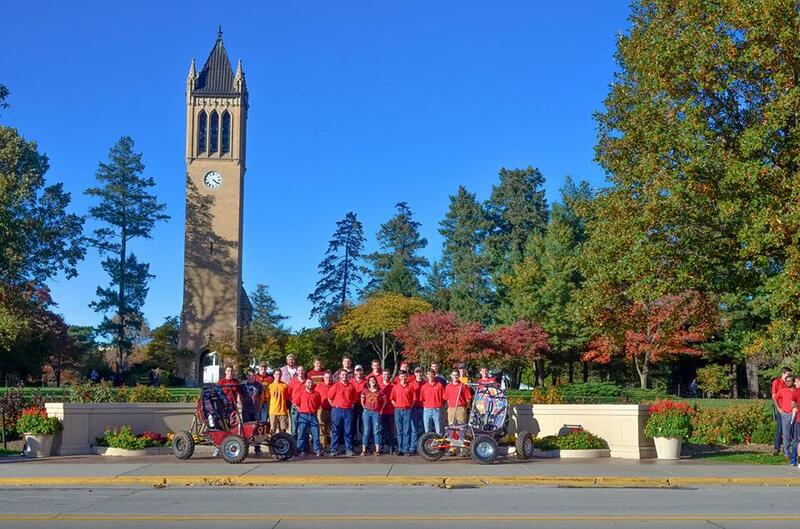 The SAE Baja vehicle readies up for competition against other collegiate teams during the 2017 season. Photo courtesy of the SAE Baja team. In the spring of 2019, the Baja team will be competing in Tennessee, California and New York. Vande Loo says that while their main goal is to win those competitions, they also want to develop a car that is reliable. Baja competitions consist of many different static and dynamic events, all scored based on a maximum point value. Standing out among those events is the endurance race. Other events in Baja competitions include hill climbs, rock crawls, acceleration runs, and a number of other events. 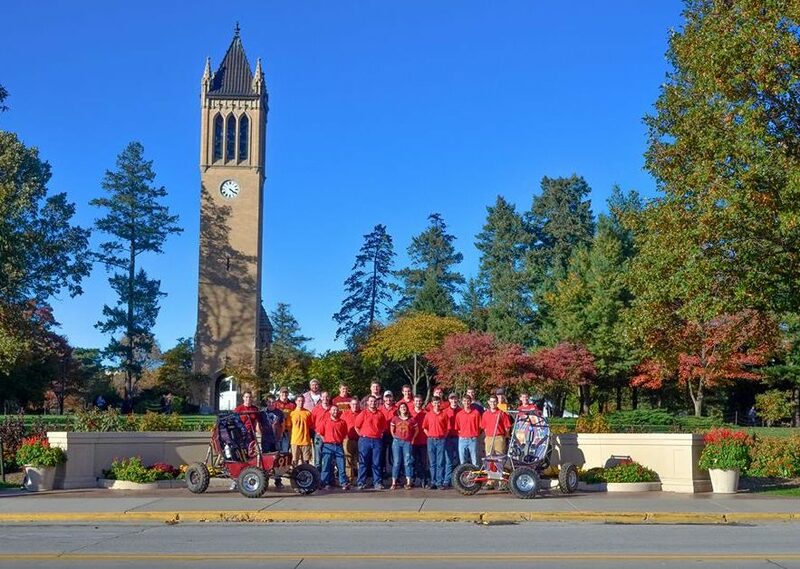 The SAE Baja Team Leaders pose with their vehicle in front of the Campanile on central campus. Photo courtesy of the SAE Baja team.